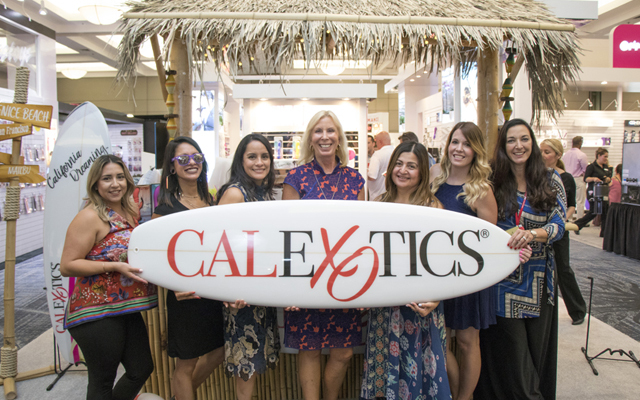 CalExotics showcased its latest products at last week’s ANME in a booth fronted by a custom-built tiki bar, and welcomed visitors with cold drinks served by bartenders, offering them a taste of the California Dream. Guests could also pick up a selection of souvenirs including custom CalExotics can cozies, sunglasses, beach balls, and surfboards. 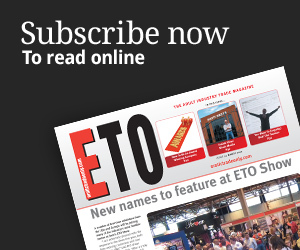 CalExotics introduced over 70 new items at ANME, including fresh styles to existing ranges as well as brand new collections. Fan favourites included the brand new Impulse™ line, as well as new additions to collections such as California Dreaming™ and Optimum™ Series. Impulse is a brand-new collection featuring electro-stimulation technology to tighten, tone, and strengthen orgasms. The collection features four e-stim toys and a special conductive gel to enhance the experience. Three new styles joined the California Dreaming collection, with each product being a tribute to its namesake city. The Orange County Cutie is described as bold with its thrusting shaft and flickering teaser; the Santa Monica Starlet features a thumping shaft and vibrating stimulator; and the Malibu Minx mixes vibration and suction. ANME attendees were also invited to pump smarter with the Optimum™ Series Automatic Smart Pump™, which is said to be the world’s first pre-programmed pump. The Smart Pump features three exercise modes that allow users to build endurance and a constant suction feature.